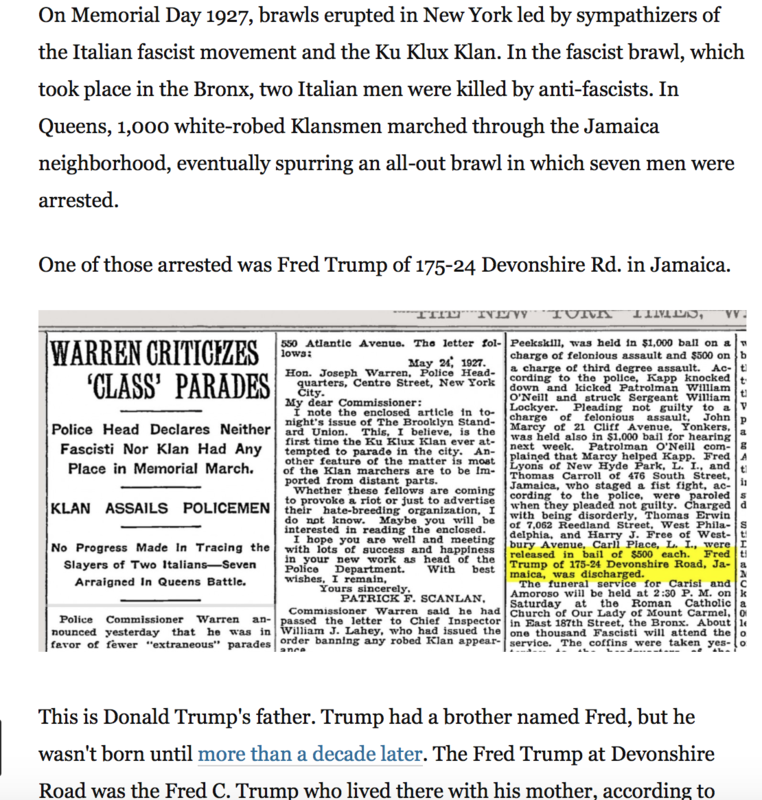 Donald Trump’s hesitancy and denial of knowing much about the Ku Klux Klan in response to an endorsement by former Neo-Nazi and Grand Wizard David Duke speaks volumes about the political character of the Republican Party and its electoral base. Trump appeared on Cable News Network’s State of the Union program when he was asked about support coming from Duke. Despite efforts to clean up these statements, Trump was attacked in various quarters from anti-racist organizations, Democratic Party candidates and officials, along with members of his own Republican Party. Others utilized the statements to further illustrate the racist and neo-fascist character of the Trump campaign and its following. 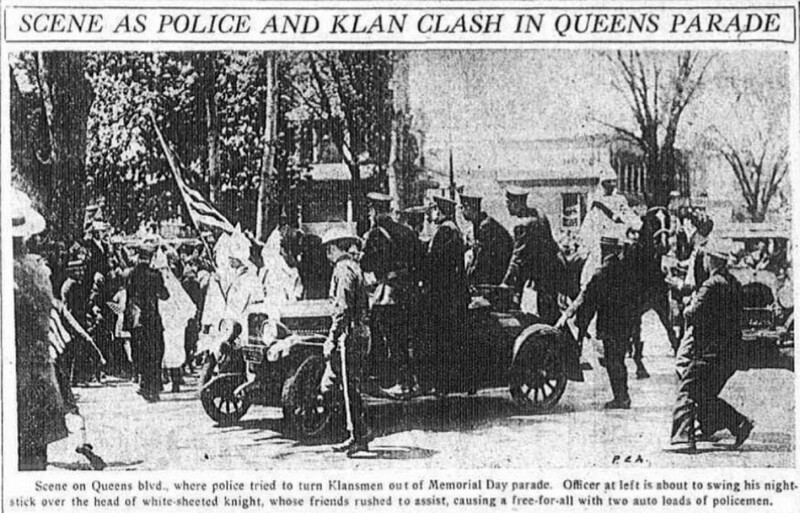 These remarks also came in the aftermath of a Washington Post article noting the arrest of Trump’s father in connection with a disturbance involving the Klan in New York in 1927. Similar reports also appeared in numerous publications several months ago. In the typical fashion of the Trump presidential campaign of 2016, the candidate denied any credibility to the report which was published at the time in a local newspaper, the Brooklyn Daily Eagle. Trump’s rallies have been a gathering point for racist and extreme right-wing elements that are emboldened by his primary victories and the ending of the Obama administration. People have been treated with extreme rudeness at Trump’s rallies while others were escorted out and even assaulted. On March 1, a group of African American students were asked by secret service agents to leave an auditorium at Valdosta State University in Georgia where Trump was scheduled to speak. In the seconds that followed a Time magazine photographer, Christopher Morris, was placed in a chokehold and slammed to the floor by a secret service agent. At no time did Morris put his hands on the agent. 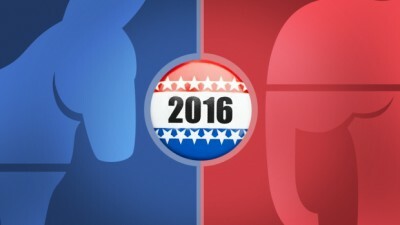 Scenes were tense outside the Fox Theater in downtown Detroit when the Republican candidates’ debate was held there on March 3. Police and secret service agents set up a law-enforcement barricade between protesters representing Civil Rights, Labor, Anti-War, and Immigrant Rights demonstrators angered by the presence of Trump and other candidates, and their largely white supporters in attendance. At the same time, former United States Senator, Secretary of State and First Lady, Hillary R. Clinton, has not prompted any hope for conscious African Americans, although pandering to this electoral base of the Democratic Party. Clinton spent considerable resources in Flint in an attempt to exploit the plight of this majority African American city where the water system was poisoned with lead at the aegis of Republican Governor Rick Snyder. Clinton secured the endorsement of Flint’s new Mayor Dr. Karen Weaver and utilized videos of her speeches given in African American churches in campaign commercials where she pledged to address the water crisis in the city of nearly 100,000 people. A nationally televised debate in Flint on March 6 was acrimonious between Clinton and Sanders. Sanders has been criticized for not speaking out strongly enough against racial profiling by law-enforcement and the special oppression of the African American people. Nonetheless, the Vermont senator has garnered key endorsements from some leading political officials and community leaders in Detroit over the last few months. Under the Bill Clinton administration of the 1990s, African Americans were severely damaged through the signing of the ominous crime bill; the effective death penalty act; the placing of tens of thousands of new cops on the streets; the building of prisons; and the further deregulation of the financial industry. Millions of African Americans loss their homes due to predatory lending while many more suffered lay-offs and impoverishment while Wall Street bankers, empowered even more under the Clinton government, were rewarded under two successive administrations with trillions of dollars in bailout funds through Congress and the Federal Reserve. Clinton was the public face of the U.S. destruction of Libya and the escalation of the Pentagon Africa Command (AFRICOM) throughout the continent. Under the administration of President Barack Obama, AFRICOM has been strengthened and enhanced. Even under a Democratic regime, oppressed nations both internationally and domestically are subjected to militarized repression and super-exploitation. On March 7, the Pentagon launched a bombing operation in Somalia against the Al-Shabaab group which reportedly resulted in the deaths of at least 150 people. Both the Democratic and Republican parties pose grave dangers for African Americans and the working class as a whole. Irrespective of their rhetoric, Clinton and Trump are on record for supporting globalization and all capitalist-inspired trade deals. The suppression of wages, mass joblessness and poverty are essential in the current phase of capitalist economic production and relations. Wall Street and their Pentagon allies will remain in supreme authority short of a fundamental transformation of U.S. society. An independently organized fighting movement is the only possible response to the political culture that is developing and will emerge full blown in 2017. Notwithstanding the national elections, the contradictions within capitalist society will continue to emerge and manifest in various social forms.